I just adore books. I have collected over 150 gardening books in my personal library. Most are reference or specialty books to which I refer very regularly. 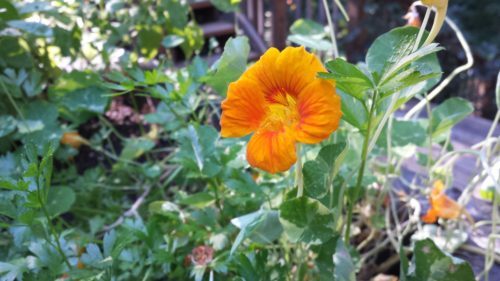 My diverse collection includes books on types of gardening, landscaping, hard and stonescaping, water gardening, container gardening, special gardening styles, and even deckscaping. Specialty books on shade gardening and plants such as hostas also grace my shelves. I have books on plant disease, pruning, seed starting, and native plants. You can obtain some fantastic ideas from gardening books. Some of the older books won’t include recently introduced plant varieties so you will need to visit your local gardening center or online retailers for more information on how to take care of newer plants. My first gardening book, The Complete Guide to Gardening and Landscaping, was purchased after I bought my first home — and I still refer to that book to this day. It’s out of print, yet it’s still my go-to for the basics. It’s great for a beginner. You might still find one for yourself in a resale book shop, or at an online reseller. Step-by-Step Landscaping by Better Homes and Gardens. Great for the beginner and intermediate gardener. Lots of ideas on basic landscaping techniques. Great photos for ideas. The Oxford Companion to the Garden is a comprehensive guide to garden terminology and definitions and includes synopses about gardens around the world. While it doesn’t contain a great number of photos, the photography is spectacular on those included. The Essentials of Garden Design by John Brookes shows the reader how to design their own garden using a grid-style. Many examples are from projects he’s completed for clients. Could be a more advanced book than the beginner would need, yet it gives some ideas that could be scaled down. Also reading this book might make you long to become a professional landscape designer as a career! The Well-Tended Perennial Garden is a lovely book about how to master the art of perennials. Perennials tend to come back every year with or without a little TLC such as deadheading flowers and cutting back spent foilage. This book details how to be successful at perennials as well as listing lots of perennial options for you to try. The Gardener’s Practical Guide to Annuals, Bulbs and Perennials by Richard Bird contains information on over 1500 colorful plants. 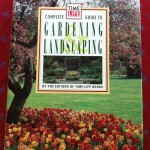 A great reference book for the beginning gardener. An Encyclopedia of Shade Perennials by W. George Schmid lists practically every shade perennial in existence. Photos of specimens are located in the center of the book. 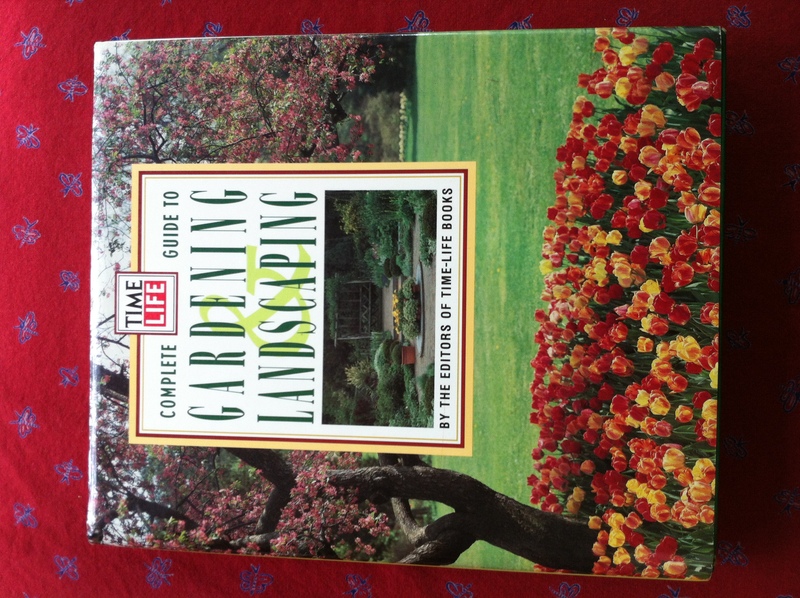 I reference this book often in planning and regenerating areas in my shade gardens. The Kitchen Garden by Richard Bird outlines the construction and caretaking of the complete kitchen garden. From design of the kitchen garden, to planning the crops, to understanding the importance of the correct soil pH and nutrients, the author takes the reader through the steps to create their own slice of produce heaven. The Natural Shade Garden by Ken Druse is a book that I purchased after moving here to our Virginia property. Since most of our property is wooded, I needed some help in what plants to select that would thrive in shady conditions, still looked “natural,” and would complement Mother Nature’s existing handiwork. I refer to this book continually just in case I’ve missed a quick tip or shady plant. Gardening Style by Penelope Hobhouse addresses a number of styles in the gardening world. The author has included many photos of gorgeous displays of plants and hardscape. She addresses garden structure first, and how to work with what you have. More details are noted in “the patterned garden,” “the more natural garden,” and “the flower and colour border.” An interesting view of “gardens within gardens” is likely my favorite part of the book. Garden “rooms” can be fun to create. Water Features for Small Gardens by Keith Davitt provided me with a number of design ideas for my water gardens. I had quite a few pages ear-marked while I was designing the ponds project. The author explains how to build small water features including whiskey barrel ponds with spitters as well as small creeks from one little pond to another. The photos alone are worth the price of the book. Waterfalls, Fountains, Pools and Streams by Helen Nash and Eamonn Hughes gives design advice on a grander scale. Gorgeous photos give the reader lots of ideas on how to design and build a water feature. This book also has lots of dog-eared pages from my water features’ design. Garden Insects of North America by Whitney Cranshaw has photos and detailed descriptions of all sorts of insects that are common to North America. Insect eggs, pupae, and adults are all shown in the photos for quick identification. I reference this book a lot when I can’t figure out whether an insect is beneficial or not. 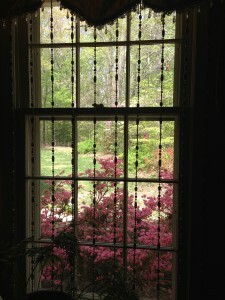 Deerproofing Your Yard and Garden by Rhonda Massingham Hart. I purchased this book after moving to our highly-deer-populated area here in Virginia. 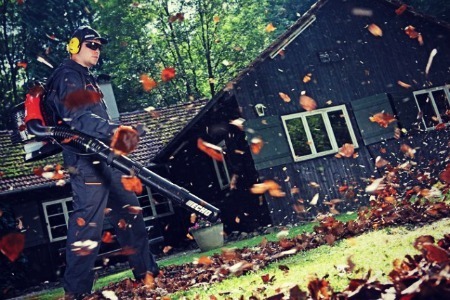 The author suggests that planting flowers, bulbs, bushes, and trees that the deer don’t normally browse can certainly help. A comprehensive list of such plants is provided. However, your deer might not like the same plants as the deer across town, so it’s a bit of trial-and-error. This book provides some great ideas on how to combat your deer problem. Fuzzy and aromatic plants have worked well for me. Moss Gardening by George Schenk is a wonderful book about mosses, lichens, liverworts and other miniature plants. Sometimes nothing will grow in a shady area except moss. With a little maintenance, you can have a lush green carpet of your own. Rain Gardens by Nigel Dunnett and Andy Clayden describes how you can manage water sustainably in the garden and designed landscape. Rain barrels and dry creek beds have long been used to capture rain water and fit right in with the green revolution. Take a look at this book for more rain garden ideas including appropriate water-loving plants for your own landscape. I consider these books to be more “pleasure reading” since they tell a story along with their valuable tips. Gardening for a Lifetime by Sydney Eddison addresses the perspective of managing the garden over the gardener’s lifetime. As an example, the author notes that as she aged, she preferred plants that were easier to maintain. As I’ve grown older as a gardener through the years, I am seeing the same traits in my garden plans. Paradise Under Glass: An Amateur Creates a Conservatory Garden by Ruth Kassinger is a lovely book about a woman who realizes her dream when she builds her own conservatory. The author takes us through the construction of her conservatory to then identifying plants that will grow successfully inside. Easy to read, it was hard for me to put down. Martha Stewart Gardening: Month by Month by Martha Stewart is recommended by Cheryl. The Washington Post Garden Book: The Ultimate Guide to Gardening in Greater Washington and the Mid-Atlantic Region by Susan Davis, Adrian Higgins and Noel Epstein is recommended by Ann.